Swedes do what they want, I see, especially when it comes to the countrys high-profile and quality Metal scene. 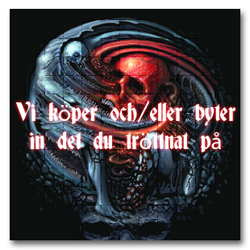 Bleeding Utopia, a band that started out in Vasteras in 2003 as a project called Operation SidEffect before changing their name to Delicious Deformed in 2004 and then being put on hold for several years, returned to the limelight in 2009. 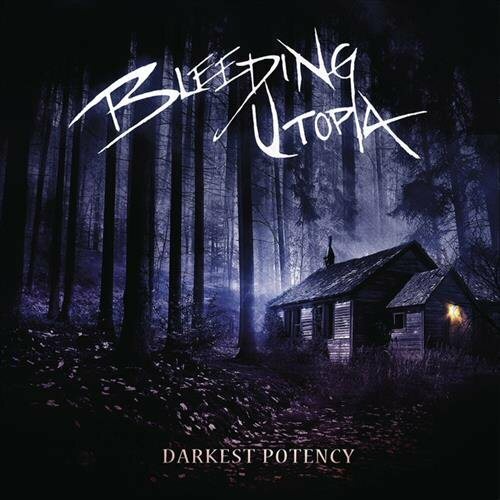 In 2012, after some hard work, Bleeding Utopia put out their debut album, Demons To Some, Gods To Others. After the door was kicked open the word was out, the band formed their own label, Bleeding Music Records. 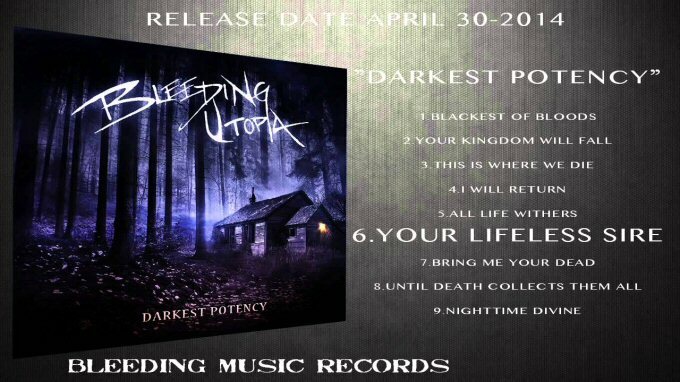 The bands second album, Darkest Potency, which features the insane drum work of Kevin Talley (Suffocation, Six Feet Under, Battlecross etc. ), is a great example of how catchy and melodic Death/Thrash Metal can be. Theres definitely the old Gothenburg sound (such names as At The Gates, The Crown and Amon Amarth coming to mind) with a tiny twist of American Death Metal. Many of their riffs remind me of the dark and twisted riffs that one is able to find on Demigods classic Slumber of Sullen Eyes album (check out This Is Where We Die or I Will Return), which is always a good thing in my book. There are a few modern, core-ish elements to be found within the songs that dont necessarily work for me but probably will for some. David Ahlens death growls are powerfully executed and overall superb, adding all kinds of mean and wicked vibes to the bands sound. All in all, Bleeding Utopia have got a good thing going with their second record, which should have many of us eagerly following them in the future for new recordings. By all means, check these Swedes out.